We as viewers of course know all too well what Dean verbalizes so urgently at the end of The Werther Project, Supernatural’s latest episode. We have most likely yelled that at our screen at some point or another in the past ten seasons. Seeing as they are still keeping secrets from each other, it is about time the Winchesters learn that lesson, once and for all. Written by Robert Berens, the episode was yet again a throwback to the show of old, a dark spooky MOTW with deep connections to the Mark of Cain mytharc and some layered insight into the Winchester psyche. Jared Padalecki had already told us that this script was one of the ones that inspired his Always Keep Fighting campaigns, as it deals with the theme of suicide in a way that only Supernatural can. As Sam strikes his dark bargain with Rowena (Ruth Connell), he learns that there is a codex that can help translate the Book of the Damned and possibly unlock a cure for the Mark. It is one of the grand coven’s treasures that were confiscated by the Men of Letters so many years ago. It is hidden in a Werther Box, warded by some very self-destructive magic put in place by our old friend Cuthbert Sinclair (Kavan Smith), the disgraced Man of Letters himself. The box is buried in a former MOL stronghold in St. Louis. The house has a tragic history of suicides and when Sam goes to investigate, he finds that one of its survivors still lives there, Suzie (played with great pathos by Brenda Bakke). Dean, feeling guilty about going on a earlier bloody and dangerous solo hunt, decides to be a good brother and join the mission, much to Sam’s dismay. As Sam tries to undo the warding spell, he inadvertently releases the Werther curse upon Suzie, Dean and himself. The magic entices its victims to commit suicide by praying on their deepest insecurities. Suzie succumbs fairly quickly, since she already was burdened by what happened to her family and Sam is in turn confronted by what appears to him as her angry ghost, but is really his subconscious talking. We all know the guilt that the Winchester brothers carry, but it is still hard to watch Sam take on some more of it. Sam has always been so willing to sacrifice himself to save others and it is made clear, once again, why that is his choice over and over. The Suzie in Sam’s head persuades him that he is not more special than anyone else and why should he and his brother be the ones to survive when others die. In what sounds like ominous foreshadowing she claims to be the first casualty of Sam’s misguided mission. Suddenly Rowena appears and with a spell she gets rid of the Suzie in Sam’s head. 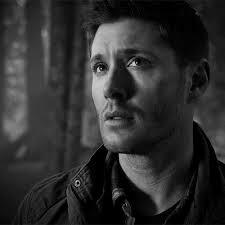 Dean is affected by the warding spell too and his subconscious takes him to Purgatory in his mind. It is almost certainly the Mark of Cain that influences this choice since it is a place where the ideal is killing without consequence. It was something Dean tapped into even before the Mark of course; he still believes deep down that he is not much more than his father’s blunt little instrument, a grunt, a soldier. It is not for nothing that Cain found Dean worthy of carrying his Mark. Dean encounters Benny who tries to persuade him to end it all now. Just like Sam, the older Winchester carries a lot of survivor guilt. Why is he so special, so worth saving? His subconscious also makes him face what he has been so stubbornly trying to stuff down; this plan of his, to ride out the curse he is carrying until he can’t anymore, is untenable. Dean has tasked Cas to kill him when the time comes, and Sam already has told him he couldn’t bear to watch his brother turn into a demon again. The Benny in Dean’s mind claims that he is being selfish and should just end his life now, before it becomes someone else’s burden and heartbreak. Dean is sorely tempted, but ultimately sees no honor in that choice and besides, the Mark won’t let him get out so easily. He chooses to go back to his brother and when he kills Benny it breaks the spell. Meanwhile, Rowena and Sam discover that the only way to break the Werther curse is to give it the blood of a Man of Letters, enough blood to take a life. Sam will not be stopped. As Rowena encourages him and massages his arm, Sam starts to fade, ready to bleed out to get to the cure for his brother. Luckily, Dean reaches him just in time and takes the knife away from Sam under protest, cutting his own arm to mix his blood with his brother’s, fulfilling the curse’s required sacrifice, together. This is of course the true lesson the Winchesters need to learn, as stated in the quote at the top of this review. They are so ready to sacrifice themselves for the other, but if they could just learn that they are so much stronger together. They can still be the heroes and the wonderfully codependent brothers, but they don’t need to lose themselves to save the world or each other. Now if only they would talk to each other. As soon as the box opens Rowena disappears and it’s safe to assume that she was also a figment of Sam’s imagination. Sam’s shady alliance with the crafty witch has all the hallmarks of the one he made with Ruby, blood and all, but this time it seems that he has learned his lesson. He traps and shackles the real Rowena to force her into translating the Book of the Damned with the help of the newly recovered codex and find a cure for Dean. There is still a lot that could and probably will go wrong of course. Rowena will have access to some seriously dark magic, Sam has to hold up his end of the bargain and kill Crowley for her, plus the magic the book contains is promised to have some seriously dark side effects. The Werther Project was another great episode with many layers and links to the characters’ history and story arc. It is wonderful to see how the plot has been tightening up and is coming together around Sam and Dean and the Mark of Cain, as we come closer to the end of season 10. The mood was appropriately dark with beautiful cinematography and creative direction by Serge Ladouceur and Stefan Pleszczynski respectively. Color choices stood out too, with the contrast between Rowena’s bright jewel toned dress and makeup and purgatory’s washed out, drab non-color palette. Ruth Connell has been growing more and more comfortable in the role of Rowena and I can’t wait to see more of her as the story progresses. I was also very pleased to see Ty Olsson return as Benny in such an effective way. There were some other wonderful and sometimes funny touches that stood out for me throughout the episode, some brought by Bob Berens, some improvised by Ruth Connell and others choices made by the director and editing team. The beautiful camera and editing work that showed the transition from present day Sam to the MOL meeting decades before; Dean being perturbed that Sam keeps looking at him like he is some diseased killer puppy; Sam checking up on a sleeping Dean, conked out while watching Speed 2 Cruise Control; Rowena spitting “giant” at Sam, as if it was a terrible insult; and the detailed VFX showing how the warding spell reached its victims’ eyes, giving the song choice of Todd Rundgren’s “The Light in your Eyes” that much more meaning. I am worried, anxious and excited to see where the story will lead and how it will all conclude. I think we can be pretty sure of a few things; there will be more heartbreak and ultimately it will prove that the Winchesters are always stronger together. As always, we welcome your thoughts! Give us your comments below.